In Slavery and the Coming of the Civil War, the authors explain the occurrences in America during the thirty years between 1831 and 1861. 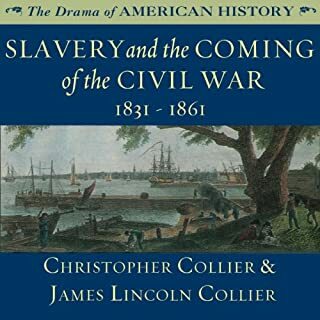 This book discusses the attitudes and events that led up to and caused the Civil War in America, particularly the institution of slavery, the Abolitionist movement, and the rise of Abraham Lincoln. > The Paradox of Jamestown discusses the circumstances surrounding English colonization of Virginia and the evolution of slavery in that colony. Beginning with an examination of 16th- and 17th-century life in England, the authors explain many of the reasons - social, political, religious, and economic - people chose to leave the Old World for a new life in the Americas. They describe the early interactions between the settlers and the Indians, the difficulties those groups had in establishing cooperative relationships, and the many difficulties the settlers had in adjusting to life in the New World. The Civil War: 1860 - 1865 examines the people and events involved in the bloody war that pitted the Northern states against those that seceded to form the Confederacy. Andrew Jackson’s America examines the events and personalities, particularly President Andrew Jackson, that shaped the development of the United States during the first half of the 19th century. 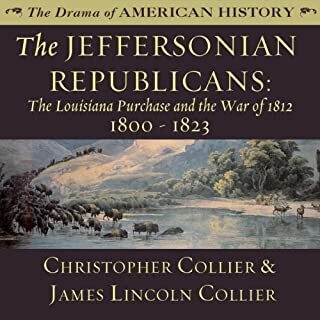 Learn about the influence that Andrew Jackson had on the way America developed, the industrial revolution and the beginning of the two-party system. 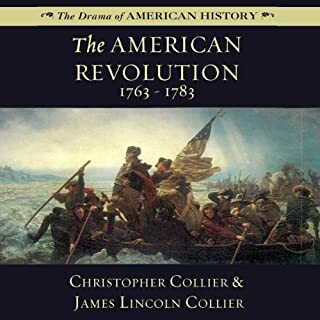 History is dramatic - and the renowned, award-winning authors Christopher Collier and James Lincoln Collier demonstrate this in this compelling series aimed at young listeners. 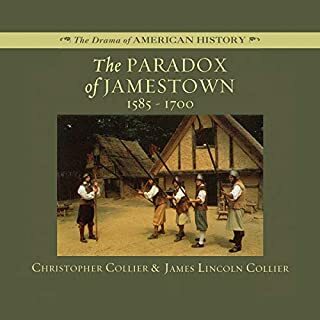 Covering American history from the founding of Jamestown through the present day, these volumes explore far beyond the dates and events of a historical chronicle to present a moving illumination of the ideas, opinions, attitudes and tribulations that led to the birth of this great nation. In Pilgrims and Puritans, the authors begin in the year 1620 in England and end in New England in the year 1676. The book recounts the religious, political, and social history of the Massachusetts Bay Colony and its influence on our lives today. 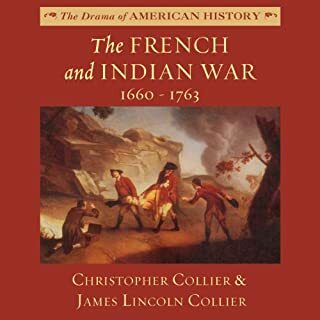 The narrative follows various groups of settlers from their departure from England through arrival in the New World and their often violent conflicts with the native peoples of the Americas. The authors examine a number of issues that arose in the new society that was founded and the rise and fall of the "city on a hill." This is American history at its most basic. Believing that students get "lost in a swamp of factual information", the Colliers survey the essential concepts of settling the Great Plains, without a great deal of detail. For example, in describing the sequence of events that led to the Grattan Massacre, there is no mention of date, location, or names of the people involved. Without prior knowledge, listeners would not know it was the Grattan Massacre. Topics addressed include Native American history prior to contact with whites and conflicts with settlers and the military, ranching and cowboys, railroads, and reform movements. The Rise of Industry gives a detailed account of the industrialization of America in the last decades of the 19th century. It includes descriptions of the technological advances of the late 1800s, poor working conditions, the rise of large corporations and labor unions, and eventual government regulation. 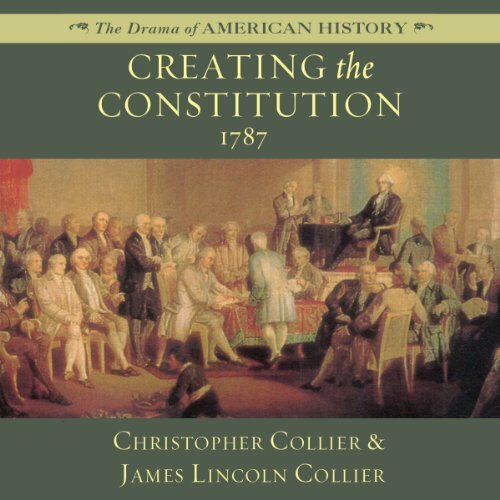 Using a narrative format, Creating the Constitution details the events leading up to the writing of the US Constitution and what American leaders went through to create it. 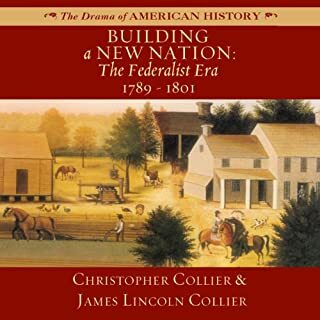 The authors describe the conflicts between the new states and the delegates each sent to the Constitutional Convention, as well as the work that was done to resolve the many issues at hand. I admire the authors' aims, and I (as a teacher) often use a very short, clipped outline as a way to introduce a topic. I work very hard clipping out details, and formulating simple explanations, to make something understandable in a short time. This gives the listener at least a good START on the topic, without overwhelming the listener with terminology and minutiae. A light step often serves the learning process well. But how could anyone explain such a deep and varied topic as this in less than 2 hours? So, I enjoyed this work plenty, and would listen again. As far as it goes, it is well done. But I think no one should mistake this for a broad, all-encompassing view of this topic. It focuses quite well on some sub-topics, such as the negotations and trade-offs between the nascent states in building a federal government. But the constitution is such a vast confluence of ideas, personalities and history, that it surely deserves a more thorough treatment. No one can pretend to have a wide expertise in it after this listening alone.